14th (Royal Montreal Regiment) Infantry Battalion, 3rd Brigade, 1st Canadian Division, C.E.F. 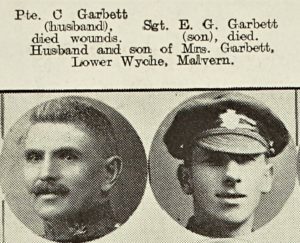 Ernest George Garbett was born at Drybrook, Worcs on the 18th September 1895, the son of Charles and Alice Garbett. Sometime before the war he emigrated to Canada with his father. 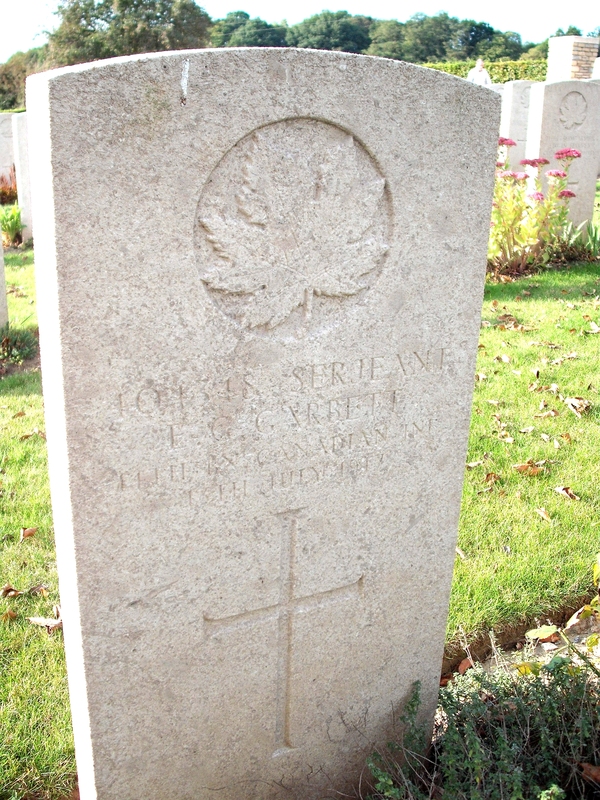 He enlisted at Toronto on the 12th April 1915 and initially joined the 35th Infantry Battalion (which provided reinforcements for the 23rd Battalion). However on arriving in France from England in October 1915 he was drafted to the 14th Battalion. 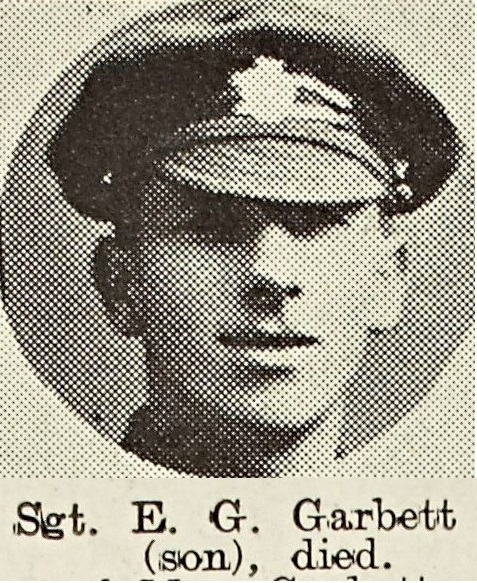 Garbett spent Christmas 1915 with the Battalion and received shrapnel wounds in the hand the following June. In November he was granted 10 days leave and in the New Year 1917 was promoted Corporal. Four months later he was promoted Sergeant but he did not serve in this capacity for long. Communion, and when I left him he was praying. Not long after he became unconscious. His last conscious thoughts were of you and of his Maker. 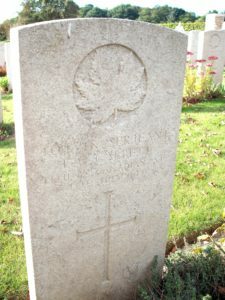 Ernest Garbett lies in Lapugnoy Military Cemetery, near Bethune. 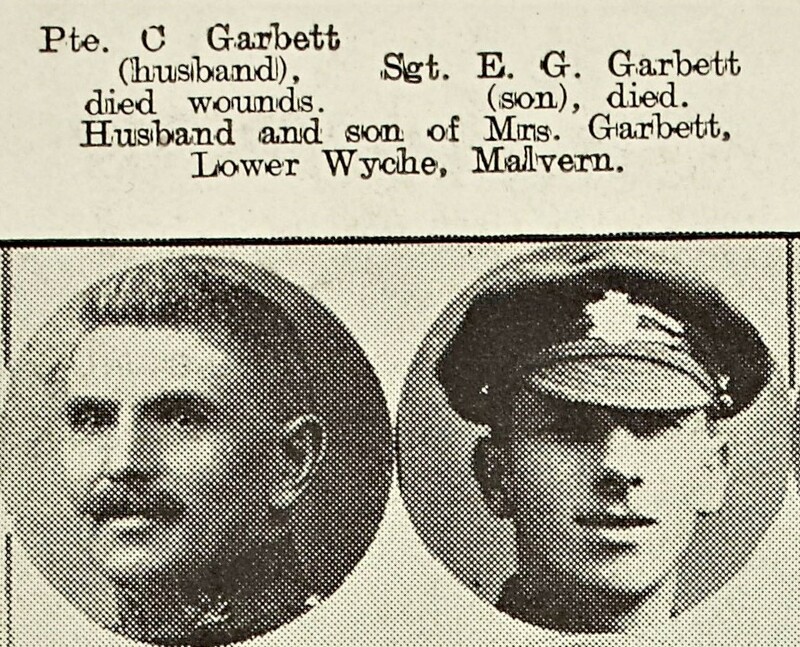 Sadly Ernest’s death was not the only member of the Garbett family that the war affected. His father Charles had died of wounds the previous August while serving with the 42nd Infantry Battalion.